Should You Hire a Contract Employee or a Permanent Employee? As freelance and contract opportunities have grown within the gig economy, more skilled professionals are open to contract work than ever before. This means companies have more options when hiring for their needs, giving them the flexibility to choose an arrangement that helps them accomplish their goals in the most efficient and cost-effective way possible. However, determining whether you need a contract employee or a permanent one isn’t always easy. If you aren’t sure which is right for you, here are a few questions to ask yourself. How Long Do You Need Those Skills? Regardless of whether you hire a contract worker or a permanent employee, that person is going to bring a specific skill set to your workplace. To help you determine which arrangement is ideal for your company, it’s wise to consider how long you will need those skills available. For example, if you only need certain skills for a short period, then it may be better to use a contract employee. However, if you need this specific skill set available over the long term, investing in a permanent employee is often the best bet. The new hire will likely feel more connected to the company, increasing their sense of loyalty in a permanent position and increasing the odds they will stay for the long run. Is the Job Exploratory in Nature? At times, companies want to explore the potential of new technologies, implement a new process or find better ways of doing business. In these cases, it’s effective to bring on a professional with specialized knowledge to drive that project, rather than training and adding additional responsibilities to full-time staff. The business may not know whether they will invest in the new development for the long term, so it’s more of an experiment. In these cases, bringing in a contract employee may be a better approach. It allows you to get specialized skills quickly, without the same level of commitment as a permanent hire. You can also explore contract-to-permanent hiring options by working with a staffing company, where a skilled professional can work on a specific project, and if they fit well with your team, you have the option to hire them as a full-time employee. Would You Rather Pay More Benefits or Higher Rates? When choosing between a contract or permanent hire, money is going to be a leading factor, as it is in every decision. If you choose to hire a full-time professional, they will expect to receive healthcare, retirement contributions, paid time off and more in their benefits package. A sign-on bonus could also become part of the package if you are looking to hire for a specific position where the number of skilled candidates is lower. While contract employees do not require all these benefits, there are a number of other factors to consider. Contract employees often demand a higher hourly rate than their permanent counterparts, because of having to pay for benefits out of pocket as well as bringing a highly specific skill set to the table. How Can You Find the Right Employee for Your Team? Reviewing the questions above sets you on the right path to determine which arrangement will be best for your company. 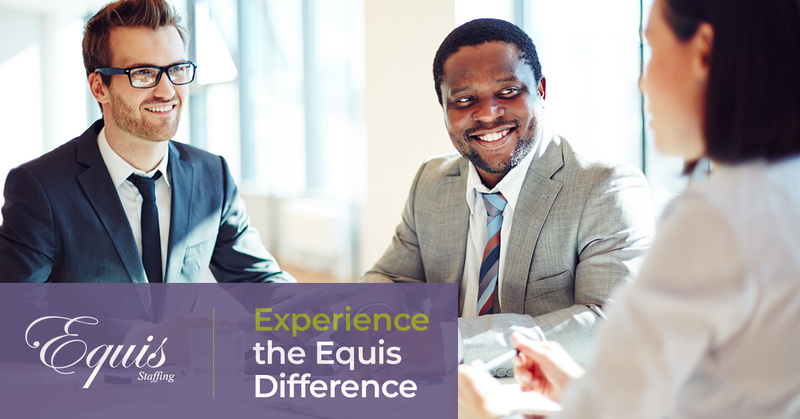 If you are interested in adding a contract worker or permanent employee to your team, the professionals at Equis Staffing can help you find the ideal candidate quickly and efficiently. Contact us to speak with one of our recruitment specialists today and see how our hiring services can benefit you. Tags: Equis Staffing, Staffing and Recruiting, Calabasas Staffing Agency, Staffing Agency in Calabasas, Should You Hire a Contract Employee or a Permanent Employee?